Related Content: Interested in our 2018 findings? 1. Content Marketing requires commitment from executive management. According to CMI, 66% of the respondents have reported moderately successful or very successful results from content marketing. 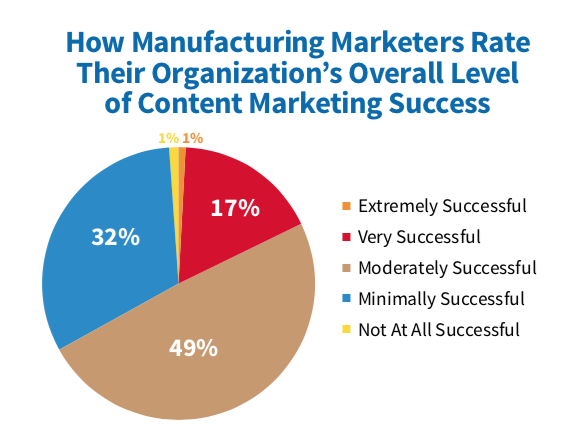 However, success was skewed; 41% of respondents in the sophisticated/mature phase say their organization is very successful with content marketing, while 52% in the young/first steps phases have achieved only minimal success. While content marketing is widely seen as a successful marketing strategy, it requires commitment from senior management to obtain strong positive results. This has been a consistent finding from the Content Marketing Institute. 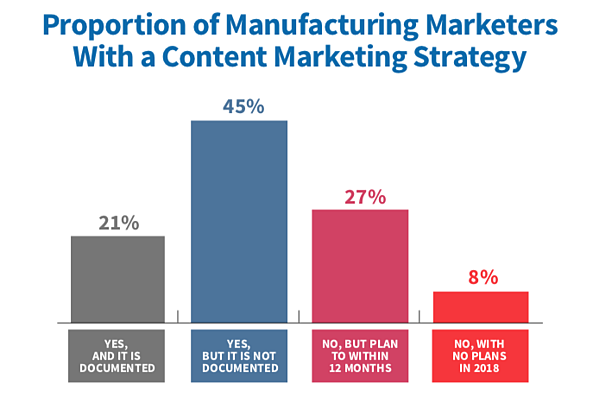 The graph below shows a broader base of B2B Marketers and the implications are clear: Those organizations that have a strong commitment to content marketing have better results. Those who have the backing of senior management to fund content marketing have the greatest success. Creating high-quality content is a critical part of any inbound marketing strategy. One of the key success factors is making sure to have a strong commitment from executive management. 2) Having a documented content marketing strategy is a key success factor. 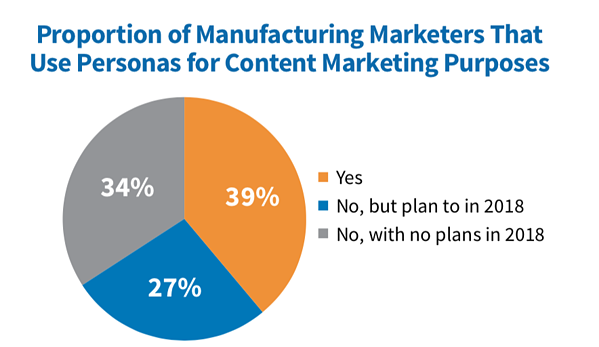 Fewer than 1 in 4 manufacturing marketers have a documented content marketing strategy. 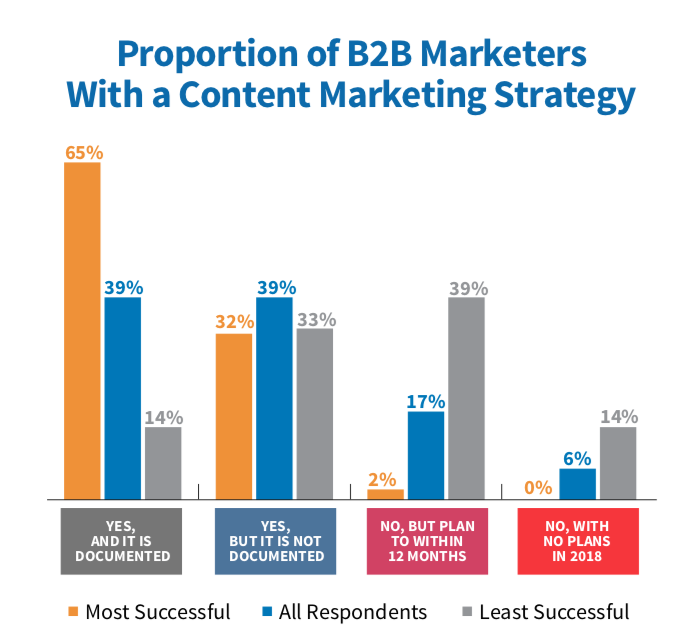 From a broader B2B study from CMI, those 39% of marketers who have a documented content marketing strategy are far more likely to be successful (65% vs. 14%). If your organization does not have a documented content marketing strategy, now is the time to create one. 3) Most manufacturing companies use buyer personas. It is nearly impossible to know what to say if you don’t know who you are talking to. Having at least one buyer person is critical to any content and inbound marketing strategy. If your marketing organization does not have a documented buyer persona, now is the time to develop one. Related Content: Why do I need a buyer persona? 4) Audience is not always a top priority. Amazingly, (and not in a good way) 51% of the respondents say they always or frequently prioritize their sales/promotional message over the audience’s needs. A large part of this shift is due to the simple fact that the composition of the workforce has changed: the millennials are now the dominant generation in the work force and are often in positions of influence or decision-making. And as a general rule, millennials don’t like being sold to. If you have not read up on how the millennials are reshaping the workforce, read this article: How to Market to Millennials. 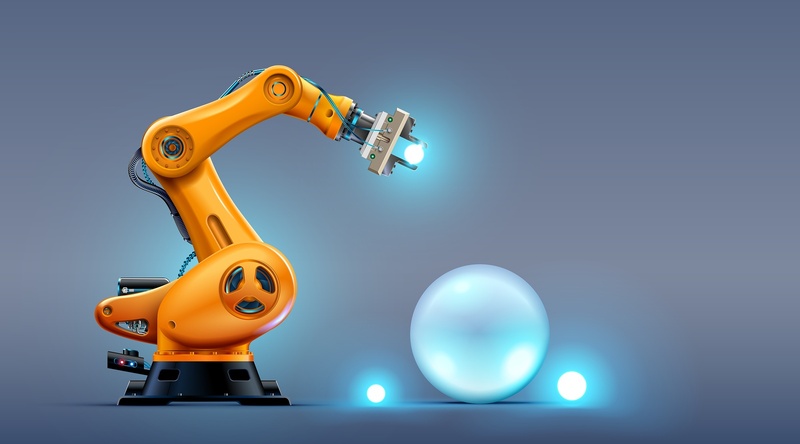 5) Selecting the right technology helps manufacturing companies measure results. But having several point solutions often makes getting actionable data in one place very difficult, and quite often, marketers are forced to export data into a spreadsheet and spend hours massaging the data into a usable form. Having a single place to manage our content and analyze its performance is a huge time saver, and decisions (both strategic and tactical) can be made without spending a lot of time consolidating and formatting data in an easy-to-understand format. 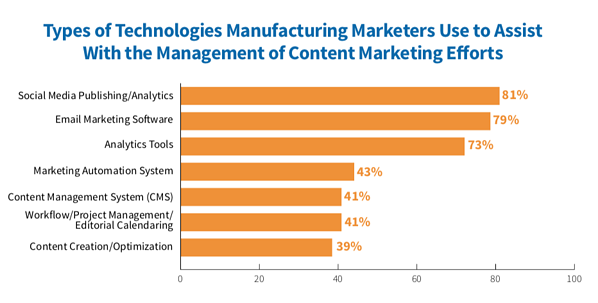 6) The top concern for manufacturing marketers are changes to the SEO/search algorithms. 57% of Manufacturing marketers are concerned about the changing nature of Search Engine Optimization (SEO). Many companies (not just manufacturing companies) continue to follow outdated SEO practices. For example, using keywords and outsourcing companies to build hundreds of backlinks is no longer effective. Being found by search engines is great way to gain audiences at the beginning of a buyer’s journey. But getting ranked by Google cannot be done by trying to “fool” Google’s SEO algorithm. Savvy marketers have learned that the SEO game has fundamentally changed for the better.